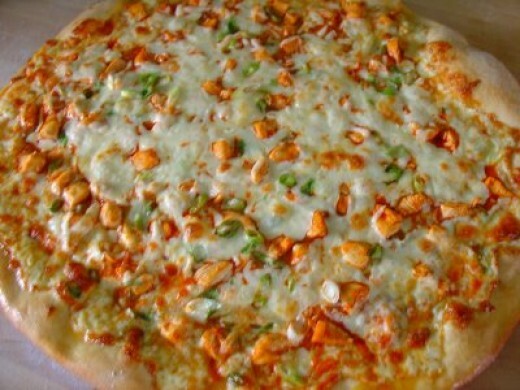 Here is a restaurant copycat recipe for California Pizza Kitchen's famous Buffalo Chicken Pizza. 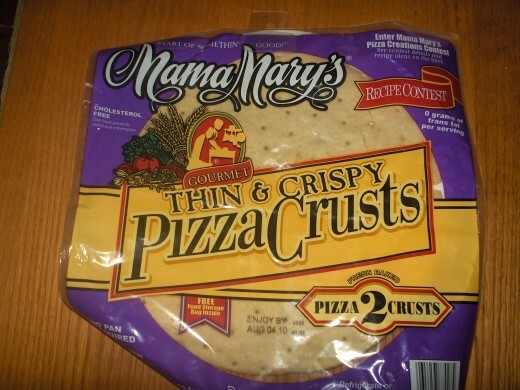 This is a simple recipe using a prepared pizza shell and simple ingredients found at any grocery store. Read on to learn how to make this dish at home. Put hot sauce in a small saucepan. Add chicken and cook over medium heat until chicken is done. Remove chicken to a bowl with a slotted spoon. Boil hot sauce and pour over the chicken. Spread a thin layer of blue cheese dressing on the pizza shell. Use a slotted spoon to add the chicken. Sprinkle with a few dashes of hot sauce to taste. Bake for 10-15 minutes until the cheese melts.